Budget airlines might be slowly squeezing you into tighter and tighter spaces like the Death Star trash compactor, but they’re making flights to Europe cheaper than ever. If you’ve never been able to afford the airfare in previous years, now might be the time for your first European trip (in which case we have tips!) January is the cheapest month for buying flights overall in 2019, but there are also a lot of specific destinations where flight prices are dropping steeply compared to what they were in previous years. We hit up the folks at Hipmunk, one of our most favoritest travel apps, to lock down which cities in the US and around the world you’ll be able to visit for cheap (or cheaper, at least) in 2019. They crunched the numbers by comparing median booking prices for 2019 to those made during an equivalent time period in 2018. 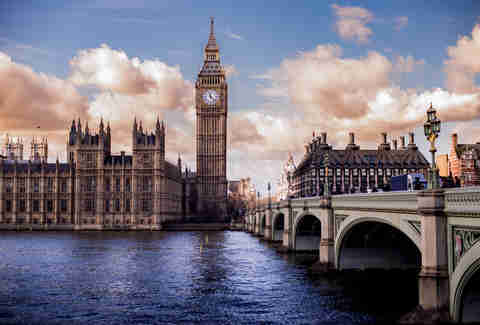 We’ve got you covered with domestic travel destinations too, but the very biggest savings are international -- we’re talking the top cities in Spain, Italy, Great Britain. Let us help you find cheap flights, maybe some cheap (or free!) hotels, and 2019 might be the year you take that big backpacking trip. I know, right? 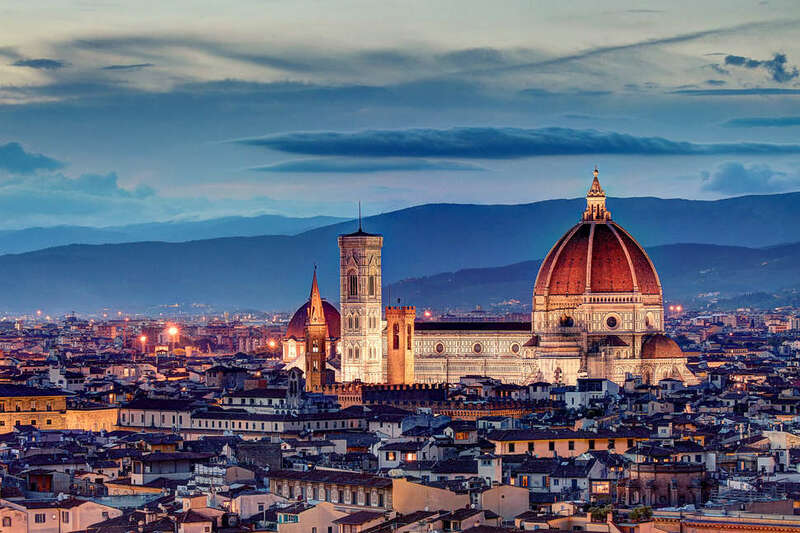 The median booking price for flights into Scandicci (a comune of the city of Florence) was $2,251 in 2018, but 2019’s got it all the way down to $992. 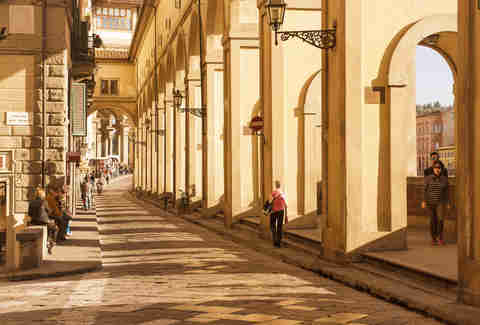 Florence, IMO, is the best and most fun of the big Italian cities to visit -- breezier than Rome, less crowded than Venice, more affordable than Milan in terms of stuff to do. Dangle your legs over the Arno River while you eat gelato, and visit the Galleria dell'Accademia to see (among other things) Michelangelo's David. Climb the Duomo once, to be sure, but only if you’re comfortable with very tight, winding staircases that are not the friendliest to claustrophobics. Or if you can, make Florence but one stop on a multi-city itinerary -- it’s the perfect jumping-off point for exploring the tastiest foods in the prettiest small towns of northern Italy. 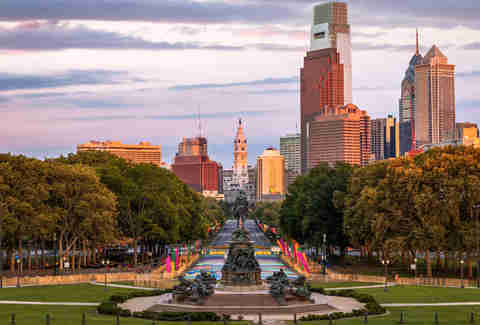 Flights to Philadelphia that once averaged $326 are down to $252 in 2019, a nice lil chunk of savings that you might not even need once you’re there. Concerts? Free. Newly opened, elevated Rail Park from which you can spend a day taking in the panorama of the city? Free. Fast-casual lobster mac and cheese is yours for just a few bucks at Mac Mart. Germantown is not to be missed for a lot of reasons, but especially for the waffles at Rose Petals cafe. Rest your tummy afterward by whiling away an afternoon at the nearby Uncle Bobbie’s Coffee & Books. If you’re there in the summertime, you can take a rental kayak or canoe out for a spin, too. Philly is rich in nightlife, but our absolute favorite might be Bob & Barbara’s, home of the longest-running drag show in the city. 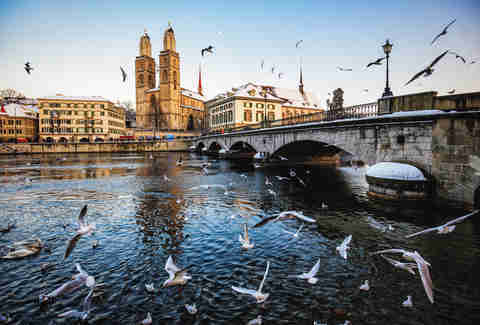 The median booking price for flights to Zurich in 2019 is $788, much improved from the $1,223 average from 2018. Now, before we go any further, remember that this is a list of not just cheap places to visit, but places that are cheaper to visit this year than they once were. Switzerland, home of the most expensive hotel in the world, is still the most expensive country in the world to visit. This might be the most affordable Zurich’s ever been, but that does not necessarily mean it’s affordable if you’re on a shoestring budget. But you can take a boat tour on the River Limmat for around $5 (March through October) and try some of the famous pizza from Rosso for around $25 (reserve a table in advance). And you really can make good headway by mixing in some couchsurfing and/or cooking at home, and even if most of your shopping is window-shopping you’ll be doing it in one of the most picturesque cities anywhere in Europe; the view is free. Bonus! Prices are down 18% for Geneva, Switzerland, too. Last year’s median flight prices to Madrid were nearly $1,000, but in 2019 they’ve fallen all the way down to $695. 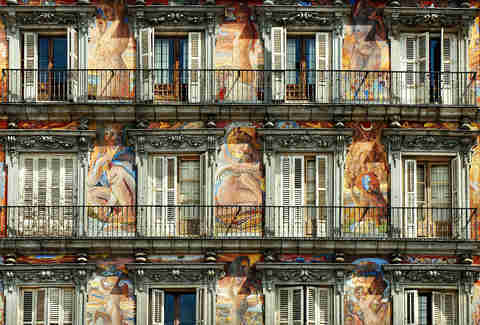 And Madrid blessedly takes us back into the territory of cities with food and drink that can more reasonably be called affordable -- head immediately to Mercado de San Miguel to sample as wide a variety of deliciousness as possible, and try the Spanish interpretation of a gin and tonic at Macera Taller Bar. Before you head home hit up Puerta del Sol, where you can drop some cash into a slot at the Convent of Corpus Christi and have nuns on the other side send it back to you in the form of cookies in the flavor of your choice. Bonus! Prices are down 18% for Barcelona, too. A booking average of $320 in 2018 gets nicely adjusted to $275 in 2019, and we at Thrillist have long been proponents of Jacksonville being one of America’s most underrated cities. Jacksonville is cool! 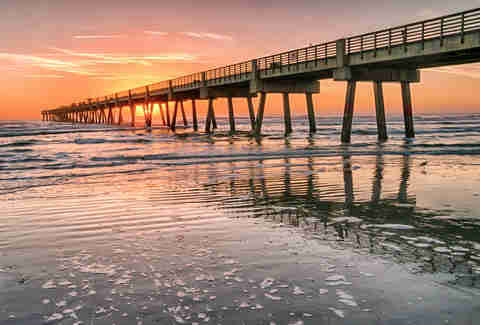 In recent years its grown into a cultural hub that’s bursting with everything both exciting and affordable, plus arguably the best access in Florida to swaths of large, uncrowded beaches. You can try fast-casual chicken and tarragon biscuit dumplings at Bellwether and enjoy drinks and seafood appetizers for literally just a couple of bucks on the balcony of Surfer [The Bar] at Jacksonville Beach. And if you weren’t necessarily expecting much of an arts scene you’ll be blown away by the bohemian CoRK District. Bonus! Prices are down 12% for Bradenton, Florida, too. 2019 will see median booking prices to Buenos Aires fall from $1,499 to $1,191, savings which many of you will wish spend on steak only to find that a full dinner, wine included, may only cost you $20 anyway. Similarly cheap is the pleasant ritual of merienda, or afternoon tea and light sandwiches -- find one of the city’s many cafes and enjoy empanadas or a perfectly toasted jamon y queso with a cup of tea or vino. On Sundays from spring to fall, you can take advantage of the beloved Feria de Mataderos, an outdoor market featuring the food, music, dancing, and horsemanship displays of the gauchos, the country’s traditional cowboys. 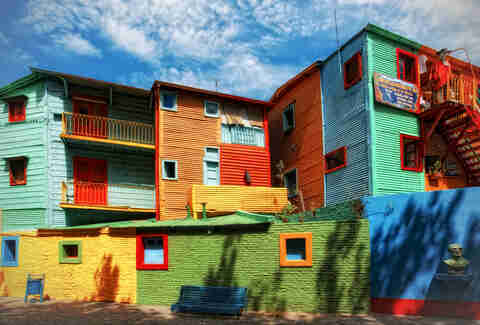 All year round you can walk the colorful streets of La Boca, shop the flea and antique markets in the historic neighborhood of San Telmo, or grab lunch from one of the street food vendors serving up grilled sandwiches for a couple bucks in the wide open park spaces of Palermo, before touring the nearby chic bars and shops in the afternoon. And whether the occasion calls for coffee or for wine, visit Cafe Tortoni -- one of the most beloved and historic nooks in the country -- especially for the nightly tango shows. The previous median booking price of $684 has crept down to $565 for 2019. As someone who’s extremely good with math I can remind you that “average” means some of them are going to be even cheaper, so if you’ve always wanted to visit London but couldn’t quiiite swing it financially this could very well be the year you do it. Yes, London is touristy, but like every tourist city it’s also brimming with genuinely cool stuff to do if you just know where to look. Get your souvenirs and streets food at Brixton Market, make your way onto floating bookstore Word on the Water, and go below Waterloo Station to see the graffiti in Leake Street tunnel. Perhaps you’d like to day-drink right out in the open? Pick up a cocktail-in-a-can from the nearest store for pocket change and take it to the Royal Parks for free.